“Our commitment is to provide an excellent education and enriched cultural experience to all international students whilst they are studying at St Mary’s College ." We welcome the diversity that International Students bring to the College. St Mary’s College is a Catholic School for Girls from Years 7-13. It is the oldest girls’ school in New Zealand and is consistently one of the top academic performing schools in Auckland and New Zealand. These pass rates outperform most state schools and rival private school education pass rates. It offers a broad and dynamic curriculum and a complete range of quality experiences to support and develop students to their potential. The school has 1000 students and 40 international students and prides itself on the level of personal care and academic support that we deliver to all international students resulting in students achieving the necessary qualifications to pursue pathways in tertiary education. Please click the image below to view a video of our school in English, and click here to view it in Mandarin. St Mary’s College recently ranked 15th overall in New Zealand as a school that covers all the criteria that top universities are looking for. Please click here to read the full article from Crimson Education. It has enjoyed a long tradition of academic excellence and is one of the best schools in Auckland. 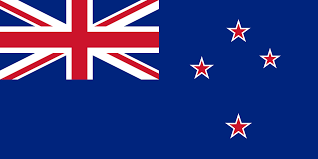 It supports students from Year 7 through 13 to reach the requirements to study at a New Zealand University or abroad. The College follows the New Zealand curriculum for the National Certificate of Educational Achievement (NCEA) which is studied over three years in Years 11, 12 and 13. Please click here to find out more about NCEA. The school is located in one of Auckland's most respectable suburbs, Ponsonby, Central Auckland, just a 10-minute walk to Auckland’s city centre. It has a special mix of traditional and modern facilities including a 30m pool, tennis courts, gymnasium and a chapel, all within its spacious grounds, with spectacular harbour and city views. St Mary's College is located just 10 minutes from Auckland's CBD. St Mary’s has three dedicated staff who look after the international students to make sure they are happy and successful. Each student has the support of an Academic Dean who sets realistic expectations and individual timetables, an International Director who looks after their overall wellbeing and a homestay coordinator if they are living in a school monitored homestay. The school is very caring and the students are friendly, welcoming and respectful. A classroom buddy and international ambassador programme is established to help support the students on their first few weeks while they settle into school and find friends. Established in 1850, St Mary’s College is the oldest girls’ school in New Zealand. It is steeped in history, tradition and cultural richness, all based on the spiritual values of Mercy. International students do not need to be Catholic to enrol. Every student is valued and shares a sense of community with compassion, care and respect for others. The St Mary’s Music Department is world-renowned for its award-winning achievements and is recognised for musical excellence in New Zealand and abroad. St Mary's College continues to provide superior music tuition which, over the years, has helped many acclaimed musicians realise their potential. Music is an important part of school life and music instruction is compulsory in Year 7, Year 8 and Year 9. There are many exciting musical opportunities for students at all levels to choose from, such as orchestras, symphonic wind bands and choral singing groups. As well as providing long-term education for students, there are limited places for students to experience excellent short-term programmes. Students come into our school for several weeks and enjoy English & ESL classes combined with some mainstream lessons. We organise homestay accommodation with local families. International Students can stay with an approved caregiver (i.e. family member) or in an approved homestay that the school organises. All homestay families are police checked and meet strict criteria before they can host students. When an international student comes to New Zealand to study, education providers have a responsibility to ensure that they are well informed, safe and properly cared for. In New Zealand this is called ‘pastoral care’ and to support this, the New Zealand Government has developed the Education (Pastoral Care of International Students) Code of Practice 2016. From 1 July 2016 there has been significant changes to the Code of Practice and a new dispute resolution scheme has been introduced. Both these documents regulate the care and support of your daughter or student you are representing whilst she is studying at St Mary’s College. Please click here to view the Education (Pastoral Care of International Students) Code of Practice 1 July 2016 (which replaces the existing Code of Practice), and a new International Student Contract Dispute Resolution Scheme (DRS) which has been established to resolve contractual and financial disputes between international students and education providers. Please click here for information. Please be assured that St Mary’s College upholds and supports the Code of Practice, however, if for any reason you have concerns about your daughter’s treatment by the school or by one of the school’s agents, your first step is to talk to the school’s International Director, Mrs Sue King, and if your concerns are not resolved by the school you can contact the New Zealand Qualifications Authority (NZQA), who will process your complaint through the DRS scheme. The website address is above or, for more information on the complaint process, you can contact NZQA on 0800 697 296. It is the Agent’s responsibility to obtain a copy of the Code of Practice (Code) and the Dispute Resolution Scheme (DRS) and understand it. We take the experiences of our international students very seriously. We rely on our agents to enhance the experience for students and maintain close communication between students, families and school. Please dial 111. For all other urgent matters please call Sue King on 021 157 8776 or Samantha van Deventer on 021 261 2779.